To qualify for certification, candidates must pass NZOQ-certified Lean Six Sigma Green Belt exam and provide evidence that they have participated in the delivery of a DMAIC project. NZOQ and the Thornley Group have established a partnership for the delivery of world class training in Lean and Six Sigma. 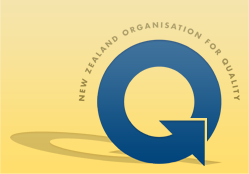 This will lead to certification by NZOQ, New Zealand's most respected and credible source for quality training. Certification by NZOQ provides the confidence that the training and certification process is robust and of a recognised national standard. Lean and Six Sigma deliver business goals and objectives though the rigorous application of proven improvement methodologies. Combining both these methodologies eliminates waste, increases value and reduces variation. By focusing on the customer and delivering benefits quickly it is possible to improve quality performance and profitability simultaneously. Thornley Group Yellow Belt training details awareness of the principles and application of Lean and Six Sigma methods, and is carried out by professional trainers who are experienced senior management practitioners in both Six Sigma and Lean. Thornley Group Green Belt training is carried out by professional trainers who are experienced as senior management practitioners in both Six Sigma and Lean. Thornley Group Black Belt training is carried out by professional trainers who are experienced as senior management practitioners in both Six Sigma and Lean. This course is designed to follow on from the NZOQ Green Belt. This is the same highly regarded training that we give to our many corporate clients in New Zealand and gives individuals the same opportunity to receive this premium training at an economical cost. Attendees will have the opportunity to gain insights from our experienced and highly qualified practitioners who have worked with a wide range of New Zealand and International organisations.